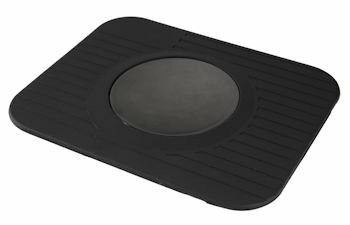 High Quality none slip rubber mat with smooth circular area to attach your sat navs, phone or tablets standard windscreen bracket. Allows you to mount your sat nav on top of your dash without making an permanent attachment. - Convenient mounting accessory for most sat navs, phone or tablet holders. - Turns your windscreen mount into a convenient dashboard mount. - Allows you to position the screen for easy viewing while driving. - Move between vehicles or remove when parking so that nothing is on view. - Anti-skid and shock proof base contours to the dashboard.